I guess I've been living under a rock, because I had never set foot inside a Hobby Lobby until last week. When I posted a photo on Instagram and Twitter, I was afraid all of you would disown me considering the amount of stunned responses. (Thank you for sticking around!) The first time I had even heard of it was last fall on Lauren's blog. I assumed it was just a bigger, better version of Michaels, but oh, dear me. I was so wrong. "Oh, we should go to Hobby Lobby one day." "I think it's like Michaels on crack or something. 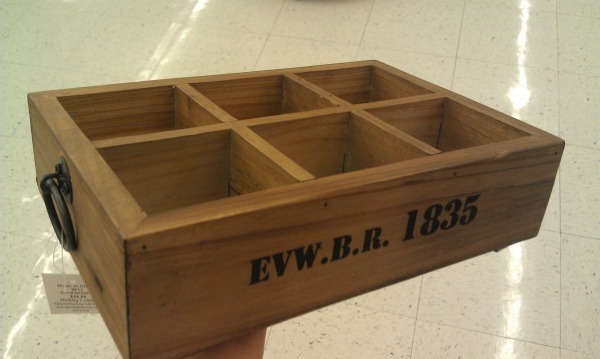 I saw on someone's blog that they have a lot of home decor stuff." We finally went to Hobby Lobby, and we were like kids in a candy store! For starters, we were distracted by the display by the entrance, so it took us a few minutes to actually get in the store. And once we were inside, it was over. I mean, seriously. It was over. For whatever length of time we were in there, it was filled with Honey, look at this and Lindsay, come over here. It was so much fun that we went back later that day! I told Mr. TBS sometime during our wedding planning that when we moved into a house, I wanted just one room to decorate rustic/country chic. As luck would have it, the second-story our of little country house is perfect. It's an open-floor plan with the exception of a room that we're using for storage, and it comes complete with a vaulted ceiling and wainscoting along the staircase. This would be the room! 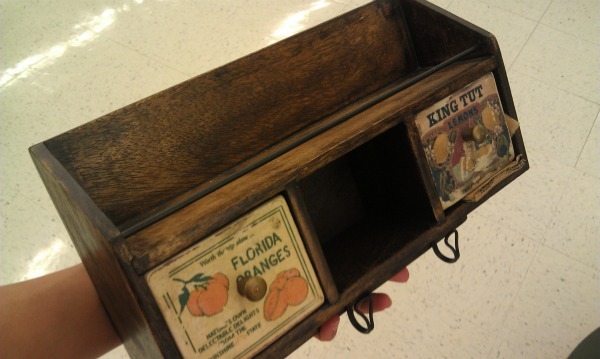 We're waiting to buy a few larger pieces before we buy some finds from Hobby Lobby, but soon. Very soon. Since I've been living under a rock, I need your help. What are your favorite home decor, craft, and clothing stores? Hobby Lobby is a problem, for real. I haven't lived near one in... six years (good grief I feel old!) but I still have some bits and pieces purchased there! My favorite store to decorate my pretend house (because I can't afford ANYTHING there) is Restoration Hardware. But I've gotten a lot of ideas for stuff by going through their catalog. Can't wait to see some of your house as you show it off! Oohhhhh dear goodness. Hobby Lobby gets a quarter of my paycheck every month (AT LEAST!) It's like... you go in there just wanting hot glue sticks and you walk out with 5 bags full of stuff you don't need but just HAD to have. I visit Hobby Lobby almost once a week! They have such fantastic sales and adorable fabric and scrapbook paper galore and home decor and...I could go on and on. I'll go in there for fabric and leave with bags of things. 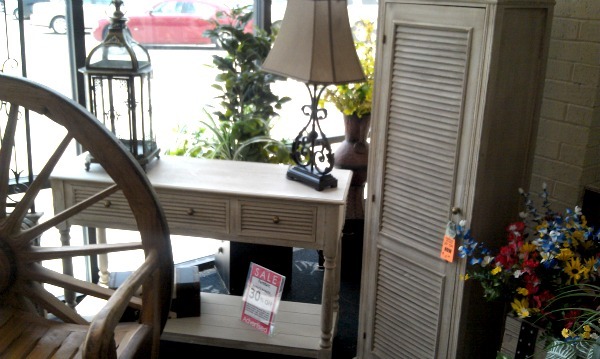 Have fun decorating your rustic room!! I love Hobby Lobby - I can't believe you just now went there. Wasn't it fabulous! 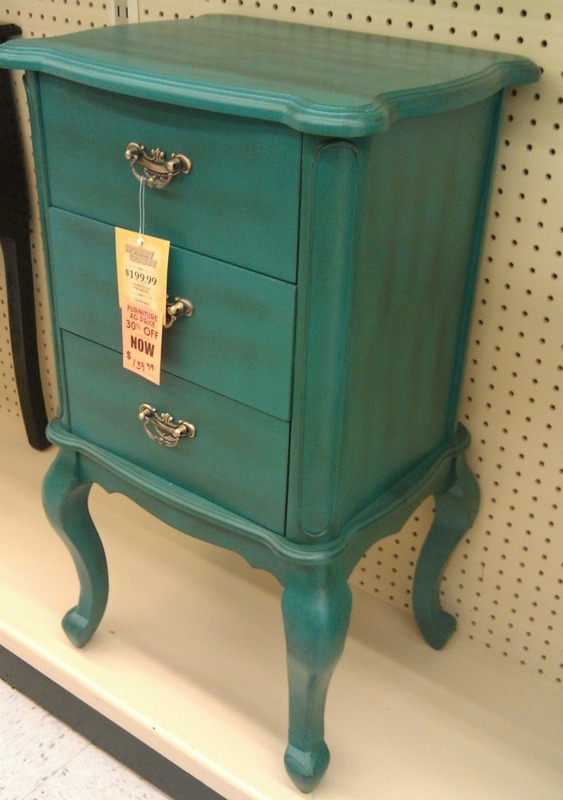 That teal dresser is to die for!! I have never been to a Hobby Lobby either, I need to find one near me though! Have a great weekend, Linds! I've never been to a Hobby Lobby either! haha I don't decorate that much anymore (I know, am I even female?) but when I did I went to this place called Tai Pan. They had all of these AMAZING decor products for wholesale prices. It's pretty genius. I'll have to keep Hobby Lobby in mind for when I get on my next decor kick! 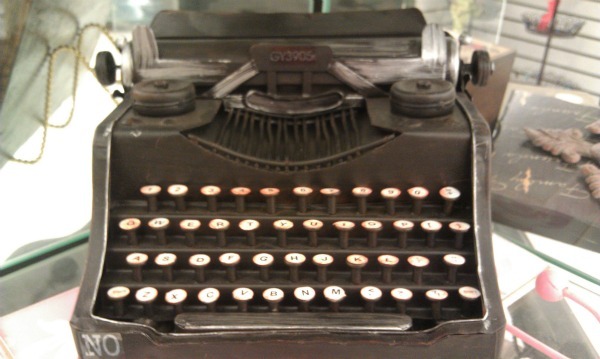 Love that typewriter!!! I honestly don't even know if there is one near me?! Guess I need to Google it and make a trip no matter where one is huh?! Congratulations on your first round of Hobby Lobby! An insider's tip is that Hobby Lobby has weekly coupons on their website... and if you pull up the coupon on your smartphone, they'll treat it like you printed it off and brounght it in. If you're paying full price in that store, you are cheating yourself! Ooooh, you're so lucky!!! We don't have Hobby Lobby in my area at all. I've always wanted to go =( Looks amazing!!! 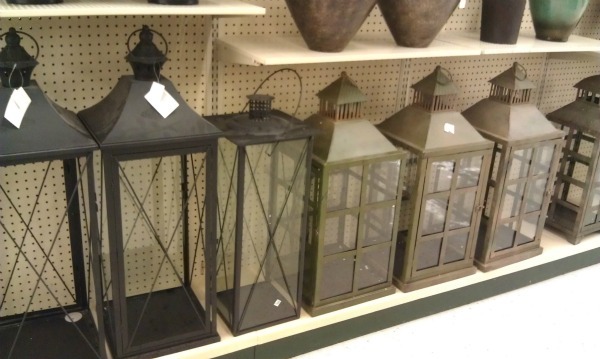 I totally adore Hobby Lobby. They have EVERYTHING!!!!! Looking forward to stepping into a Hobby Lobby in a couple of weeks! Where in the World is Lindsay? I'm in Three Places at Once! A Feature And A Vlog!